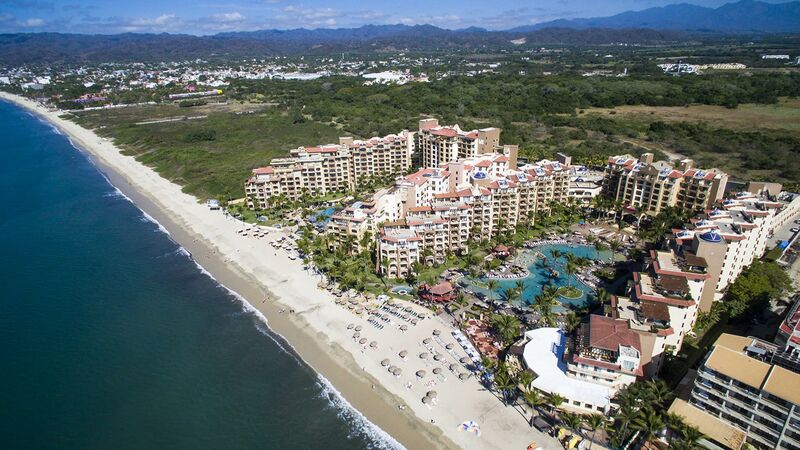 Villa del Palmar Flamingos Beach Resort & Spa Riviera Nayarit is located on the shores of Banderas Bay in the exclusive residential neighborhood of Nuevo Vallarta. Situated in between the popular destination of Puerto Vallarta and the treasures of Riviera Nayarit, Villa del Palmar Flamingos provides easy access to a wealth of fine dining, shopping, sightseeing, and other entertaining things to do in Puerto Vallarta and Riviera Nayarit. In addition, the luxury resort in Nuevo Vallarta is just a short drive to the Puerto Vallarta International airport. Riviera Nayarit is home to a diverse array of beach towns belonging to the coastal region of Pacific Mexico. Beginning in the south in Nuevo Vallarta and extending north past San Blas, Riviera Nayarit is a haven for those looking for beachside playgrounds and gorgeous tropical surroundings. Whether indulging at one of the Nuevo Vallarta all inclusive resorts, relaxing on the quiet beaches of San Pancho, surfing in Sayulita, or visiting the crocodile sanctuary at San Blas, Riviera Nayarit is sure to deliver the vacation experience you’re looking for. Villa del Palmar Flamingos Riviera Nayarit sits at the northernmost point of the private neighborhood of Nuevo Vallarta. Its idyllic location provides for the peace and quiet travelers expect of a luxury vacation, however it is still close enough to all the action that guests will never find a dull moment on their Nuevo Vallarta vacation. Those looking to explore can grab a taxi to nearby Puerto Vallarta where the cobblestone streets, milelong Malecon, and authentic Mexican culture create a memorable experience, or they can take just a short walk down a path through the woods next to the resort to get to Bucerias, a small beach town exploding with personality. Villa del Palmar Flamingos Beach Resort & Spa is situated on Flamingos Beach, a stretch of soft sands that extends for miles and provides visitors with safe, shallow swimming.